As stated elsewhere on this site, Jackal’s Den is a semi-vanilla Minecraft server. Some of the features that make the server semi vanilla include Grief Prevention and Dynmap. Below are some commands that will help you to utilize these features, as well as a few other miscellaneous commands that you might need to know. Jackal’s Den has a survival map as well as a Creative World. There are two ways to access the Creative world: either traveling to Central Spawn and entering the Creative World access building, or using the only warp command in the server. Please be aware that all items you have on you, including any armour you may be wearing, will be deleted when you leave Creative to return to the main map. Be sure to remove all items into a chest in the survival map before entering Creative or you will lose it. If you are trapped in someone’s claim and don’t have access to get out, stand still for at least ten seconds and then use this command. If possible, the game will find the nearest safe place to transport you to outside the claim. It is not always possible to find a safe place to remove you to, and sometimes this command can fail. But definitely give it a shot. Using Grief Prevention to make claims will protect your land, builds, and chests from other players and from mob grief (Creeper holes, anyone?) Some of the more common Grief Prevention commands are below. Please be aware that this is not an exhaustive list, but only the commands most commonly used on Jackal’s Den. Claim blocks are allocated to players at a rate of 100 blocks per active hour on the server (afk/idle time does not count), after an initial allocation of 1000 blocks. Additionally, 200 claim blocks are added per $1 donated. If you are ever unsure of how many claim blocks you have available, or you want to know how much active time you’ve accrued, use this command in the game. The first number you see, divided by 100, is your hours on the server (useful for knowing which perks you’re eligible for). The very last number is how many claim blocks you have available to use. Another way to see your available claim blocks is to switch to a Wooden Shovel in your hotbar. To claim an area of land, protecting it from other players and mob damage, right-click the blocks you want to claim in opposing (diagonal) corners with a Wooden Shovel. Your claim will extend from bedrock to sky limit inside the corners you selected. The minimum size for all claims is 5 blocks by 5 blocks. To resize an existing claim, switch to a Wooden Shovel and right-click on the corner of the claim and then right-click on the new corner you wish to set. This will remove the claim you are standing in. This will remove all of your claims across the server. This gives complete build, access, and container trust to the named player when you enter the command while standing inside the claim. If you want to give access to chests (including Enderchests) in an area, but don’t want people to be able to build or break blocks there, use this command while standing inside that claim. If you are inside an existing claim and have a wooden shovel in hand, you can change your mode to subdivide claim mode to have a claim-within-a-claim. This will allow you to have a small portion of a larger claim in which you grant different types of trust (e.g., granting public access to Enderchests, or granting containertrust to a specific player for specific chests). Remember, however, that all claims extend from bedrock to sky limit, so you may be affecting access to chests on different levels of your build. Also, as with basic claims, subclaims are subject to the 5×5 block minimum. Removes previously granted trust in your claim. Occasionally, a player will want to permit damage from explosions, such as when excavating with TNT. To toggle claim explosions on and off, just type the command while standing inside the claim. 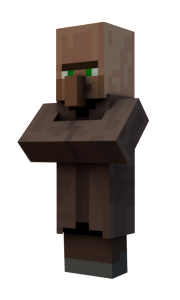 When claim explosions are on, your land and builds will be vulnerable to Creepers, TNT, Wither Heads, Ghast fireballs, and any other explosion you can think of. All of the trust commands can be set to ‘public’ rather than specific players if you want anybody on the server to have permissions within your claim. If you want to grant a player a level of access to all of your claims at once, stand outside all claims and type the appropriate command. Jackal’s Den is a community. Unfortunately, not all players’ personalities will fit with everybody else’s. Also, being an 18+ server, sometimes the chat may get a bit offensive to some. To help keep the chat peaceful, we have an ignore command so you can miss out on any chat that upsets your sensibilities. However, please keep in mind that even though this control is in place, remarks that incite hate or suggest threats of harm to oneself or others are not acceptable on this server. Please refer to the rules for more information. Ignore someone by mistake? Want to give someone a second chance? Just use this command to see their chat comments again. If you need to be reminded of whom you’ve put on ignore, just type this command in the chat. Jackal’s Den has five public chat channels, named 1, 2, 3, 4, and 5. Switch to one of these by typing the command and selecting which channel you want. Type this command to leave your current channel. If you have accrued enough active hours on the server that this command is enabled for you, this is how you change your chat nickname. There is a character limit, and colour modifiers will use up a portion of that limit. The first time you register for Dynmap, you will need to run this command in the in-game chat to get a one-time registration code. All donors are granted the ability to optionally hide themselves from Dynmap as a donor perk. If you have hidden yourself from Dynmap and want to be visible again, this is the command to use. Donors have the ability to set markers. You can add a marker at the place where you are standing with the specified label when you enter this command. Toggle visibility of hitboxes of entities. It also shows which direction entities are looking. Clear chat history (including previously typed messages and commands). Increases render distance by 1 (Minimum and Maximum are 2-32). Decreases render distance by 1 (Minimum and Maximum are 2-32). Toggle IDs of items, the durability of tools, the armor color and the scale of maps. Toggle automatic pause when Minecraft loses focus on / off. Gives help and shows all F3 + key combinations. Reloads server side modules, textures and sounds. Reload textures, models, sounds, and any other resource pack contents. These are just some of the most commonly used commands on the server. There may be others, and more may be added over time.